Dynamic TestSet Creation with VAPI-XP test - Welcome to motu4qc-en! The goal is to Create Automatically a TestSet consists of "Failed" and "Not Completed" test of an quicktest testset after its complete execution. Insert of an automatic VAPI-XP test, at the end of the TestSet, that check all test status. It will create an automatic TestSet under Unattached folder with all the tests that are "Failed" or "Not Completed". 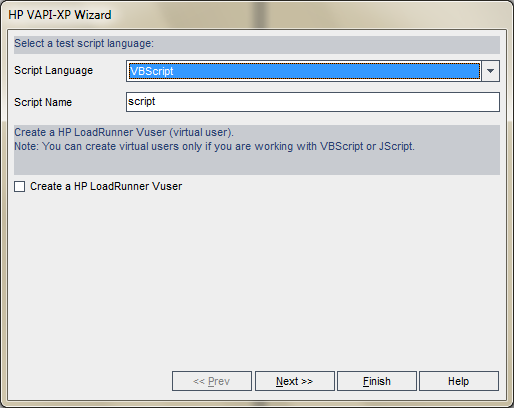 The scenario, in this example, provides the creation of a VAPI-XP test that must be insert into the automatic TestSet (consists of QTP Tests) to be analyzed. 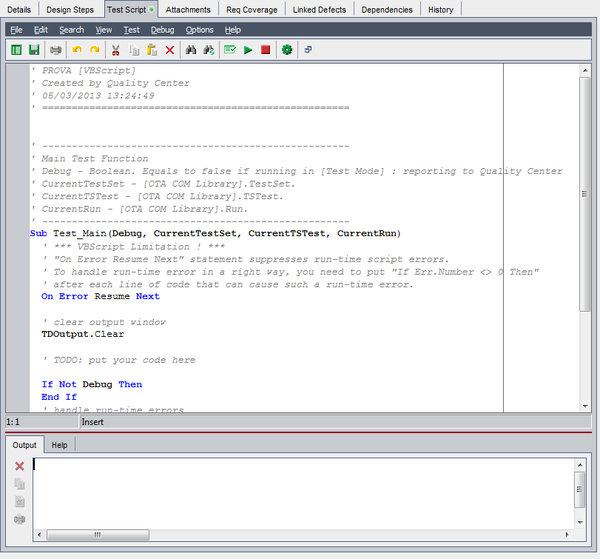 This test will run on the client machine where Quality Center is running and will analyze all the QTP Tests of the Test Set, the execution status and if there is at least a Failed or Not Completed status it will create a TestSet with only those Tests in these status linked each other in sequential manner. 1. During the creation of the test select VAPI-XP Type. 4. 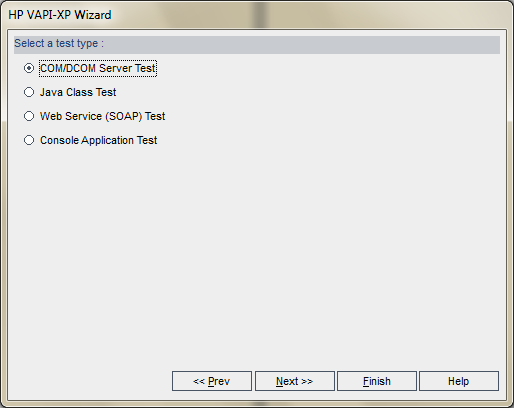 Select "COM/DCOM Server Test" and click "Next >>" button. 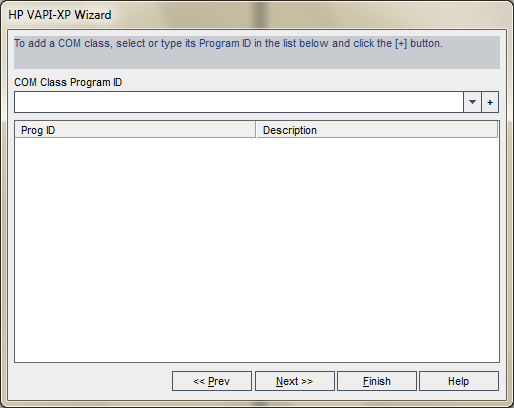 Select "Finish" button to end the creation wizard of the VAPI-XP test. Now the VAPI-XP test is created but it don't do anything for the moment. general information such as Name and Script Type, Date and Time Creation. 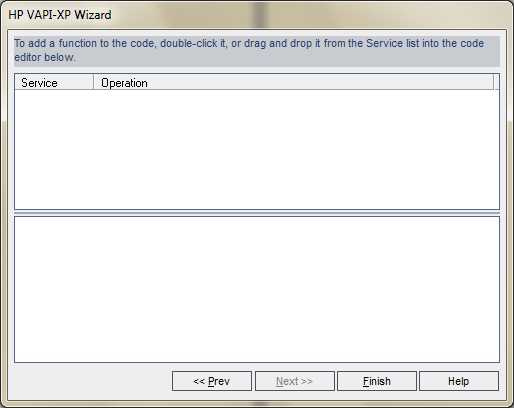 CurrentRun: it's the current execution of this VAPI-XP Test. In the Main is indicated where put OWN code, under TODO label. Now let's see how to check Instance Executions of this TestSet except this Test. Exec a for cycle to analyze all the TestInstance Status except this one (ListaTS.Count - 1). If the Status is "Failed" Or "Not Completed" I check if the TestSet under Unattached have been already created, otherwise I'll create it. Insert the Test into the TestSet. Suppose to run all the Tests in the same Host, I'll retrieve this information from one of those instance and save it into a global variable. Copy of the Notification mode of the TestSet from the original one. Create the Dependecies between Tests of the new TestSet. 'boolean variable for the creation if the temporary TestSet. '2. For Cycle for all the Test Instance except this one. '5. Copy info about HostName of Failed Tests for Tests that have been inserted in the temporary testset. exit for 'exit from the cycle because I set the info I needed. QuerySEQ = "UPDATE CYCLE SET CY_DESCRIPTION = '" & v_CY_Desc & "' WHERE CY_CYCLE_ID = " & MyTempTestSet.ID & " ;"
Finally the creation of the VAPI-XP Test have been done. The last thing to do is to insert this VAPI-XP Test at the end of the TestSet.